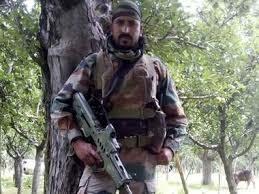 The nation’s highest peacetime gallantry award Ashoka Chakra has been awarded posthumously to Lance Naik Mohan Nath Goswami of 9 Para (Special Forces)/6th Battalion of the Rashtriya Rifles for his acts of most conspicuous gallantry. President has approved awards of 365 Gallantry and other Defence decorations to Armed Forces personnel and others on the eve of the 67th Republic Day Celebrations. This includes one Ashoka Chakra, four Kirti Chakras, 11 Shaurya Chakras, one Bar to Sena Medal (Gallantry), 48 Sena Medal (Gallantry), 04 Nao Sena Medal (Gallantry), two Vayu Sena Medal (Gallantry), 29 Param Vishisht Seva Medal, 05 Uttam Yudh Seva Medal, 04 Bar to Ati Vishisht Seva Medal, 49 Ati Vishisht Seva Medal, 20 Yudh Seva Medal, three Bar to Sena Medal (Devotion to Duty), 37 Sena Medal (Devotion to Duty), eight Nao Sena Medal (Devotion to Duty), 16 Vayu Sena Medal (Devotion to Duty), 05 Bar to Vishisht Seva Medal and 118 Vishisht Seva Medal.